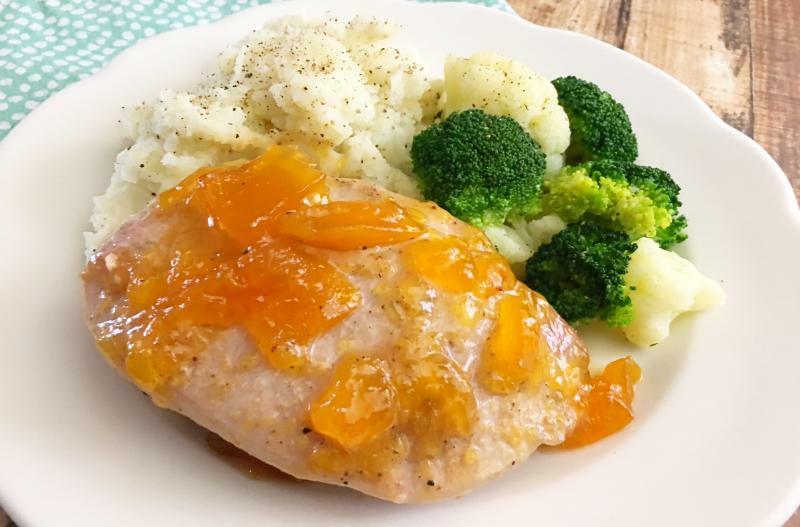 Place the pork chops into the slow cooker insert and season with salt and pepper. In a small bowl, mix together the peach preserves, sesame oil and ground ginger. Evenly divide and coat each pork chop. Slow cook on low for 8 hours. Let rest for 5 minutes before serving or slicing. Cooking time may vary depending on thickness of the pork chops. 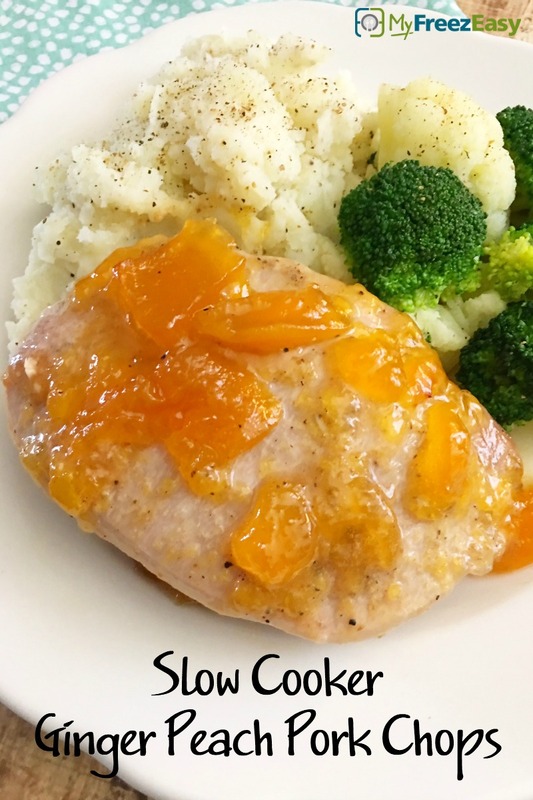 Serve Slow Cooker Ginger Peach Pork Chops with veggies and mashed potatoes. In a small bowl, mix together 2 cups peach preserves, 2 Tbsp sesame oil and 2 tsp ground ginger. Remove as much air from bag as possible, add label and freeze. Put baggie in the freezer and freeze up to 6 months in fridge freezer or 12 months in a deep freezer. Thaw in the fridge overnight, or a warm shallow dish of water for about 20 minutes, before transferring to the slow cooker and cooking as directed. Serve with veggies and mashed potatoes.